American Christian hip hop artist Lecrae is set to hit the South African shores for his much anticipated “All Things Work Together” tour. The 2013 Grammy award winning artist will perform in the heart of Johannesburg at the Mary Fitzgerald Square in Newtown on the 9th of June 2018, as well as at The Castle of Good Hope in Cape Town on the 10th of June this year. Tickets for the concert are already on sale at www.quicket.co.za, and are priced from from R280. Lecrae’s debut recording album “Real Talk” was released in 2004 through his record label Reach Records. His third album “Rebel”, was released in 2008 and became the first Christian hip hop album to reach no.1 on the Billboard Gospel chart and began to attract the mainstream crowd after his 2011 BET Hip Hop Awards performance. Lecrae, is not only a recording artist, songwriter, record producer and actor, he is also the president, co-owner and co-founder of the independent record label, Reach Records. 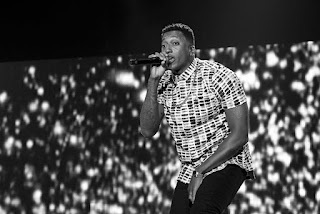 Lecrae’s 8th studio album “All Things Work Together” has been described as a profound introspection where he addresses social issues affecting black people in America. The 14-track album is led by the Top10 Urban radio hit “Blessings” which features Ty Dolla $ign as well as the popular “I’ll Find You” with Tori Kelly on the vocals. 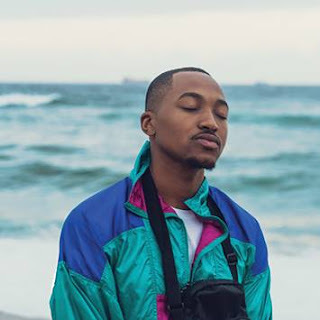 He has gone out of his way to work with multiple award-winning producers as well as guest artists to ensure diversity in his music which he regards as hip hop with a reflection of his Christian faith. The “All Things Work Together” tour has seen the “Tell The World” hitmaker perform in Europe and America and selling out venues midweek in cities like London and Paris. This will be Lecrae’s second visit to Mzansi after Fresh Impressions brought him out in 2011. The main purpose of this tour is to have someone with a positive message in their music influence the South African youth. His African tour will start off in Kenya and Uganda and round off in SA. Opening for Lecrae will be Lilly Million, Blaque Nubon, Last Days Fam and DJ Eazy.